يشكل فندق شقق مترو أون بانك بلايس بموقعه الممتاز في منطقة الأعمال, تسوق, مطاعم ضمن المدينة، مكاناً ملائماً لقضاء العطلة بعيداً عن عجقة أيام العمل. يقع الفندق على بعد 0.5 Km من مركز المدينة، ويؤمن الوصول إلى أهم مراكز المدينة. يوفر الفندق بفضل موقعة الجيد وصولاً سهلاً إلى أهم معالم المدينة.
. إن شقق مترو أون بانك بلايس حريص على توفير الراحة للنزلاء، فلا يوفر الموظفون جهداً في تقديم أفضل الخدمات وضمان حسن الاستقبال. يقدم هذا الفندق العديد من الخدمات الكفيلة بإرضاء أكثر الضيوف تطلباً. تعكس غرف الفندق البالغ عددها 55 المنتشرة في 9 طوابق جواً من الدفء والألفة.خدمات عصرية مثل شاي مجاني, مناشف, قهوة فورية مجانية, غرفة معيشة منفصلة, تلفزيون بشاشة مسطحة موجودة في بعض الغرف المختارة. كما أن مجموعة الخدمات الواسعة الموجودة في الفندق لضمان راحتك تترك لك الكثير من الخيارات لقضاء وقتك أثناء فترة إقامتك. يشكل شقق مترو أون بانك بلايس بخدماته الراقية وموقعه الممتاز، قاعدة مثالية للاستمتاع بإقامتك في المدينة. 15 mins walk to the SouthCross Station and to the main shopping area. Location is very convenient. There are a lot of restaurants nearby as well. Room was very spacious, with living room, simple kitchen (with dishwasher, microwave and basic utensils), dining area and washing machine is also available. Staffs are great and the owner as well. Thank you for choosing to stay at Metro Apartments on Bank Place, we appreciate your taking the time to share your feedback. We are glad to see that you enjoyed your time with us and hope that we get to see you again in future. I find this hotel adequate and acceptable. I do find the staff front desk defenisive and abrasive. I thought it was a one-off on my first stay. My second stay had the same defensive and abrasive attitude, not very friendly or welcoming. Thank you for choosing to stay at Metro Apartments on Bank Place, we appreciate your taking the time to share your feedback which assists us to improve wherever possible. We are sorry to see we did not fully meet your expectations this time and hope to have a chance to make it up to you on a future stay. 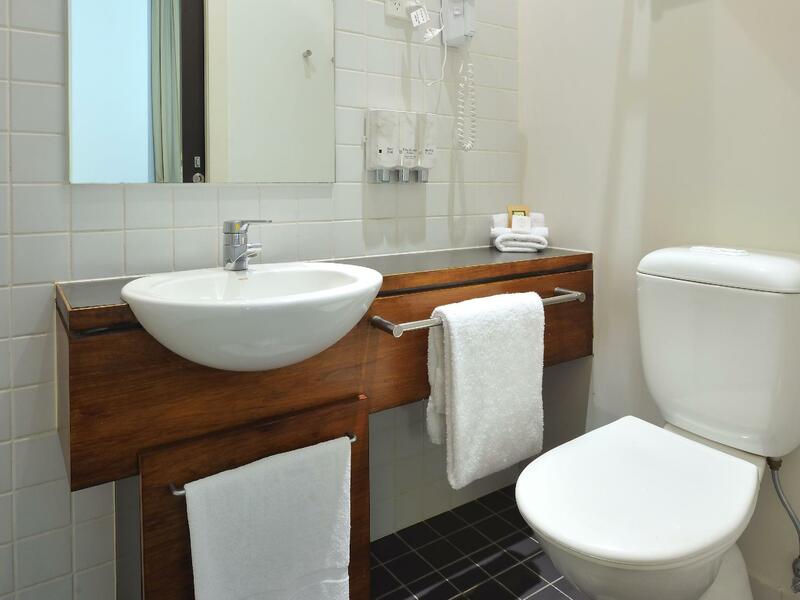 For the business traveller this is a great overnighter for those doing business in CBD or even staying a few days and wanting an apartment feel. Would recommend. Parking was a bit of an issue but I believe there are some good options available that I will explore on my next stay. Thank you for choosing to stay at Metro Apartments on Bank Place, we appreciate your taking the time to share your feedback to assist us to improve ourselves wherever possible. We are glad to see that you enjoyed your time with us and hope that we get to see you again in future. Great city suite! We will definitely come back. places to eat, close to shopping, few night clubs close to apartments. no problems with noise on a Friday night although we were on level 9. Comfy King Bed, suggest more pillows or harder pillows needed.. overall great price location what I needed. Excellent service. We arrived earlier than expected, the reception was very helpful and we managed to check in early for our room. It meant a lot especially after 8 hours flight to be able to take a good shower. Will definitely stay here again when I go back to Melbourne. I love this hotel. 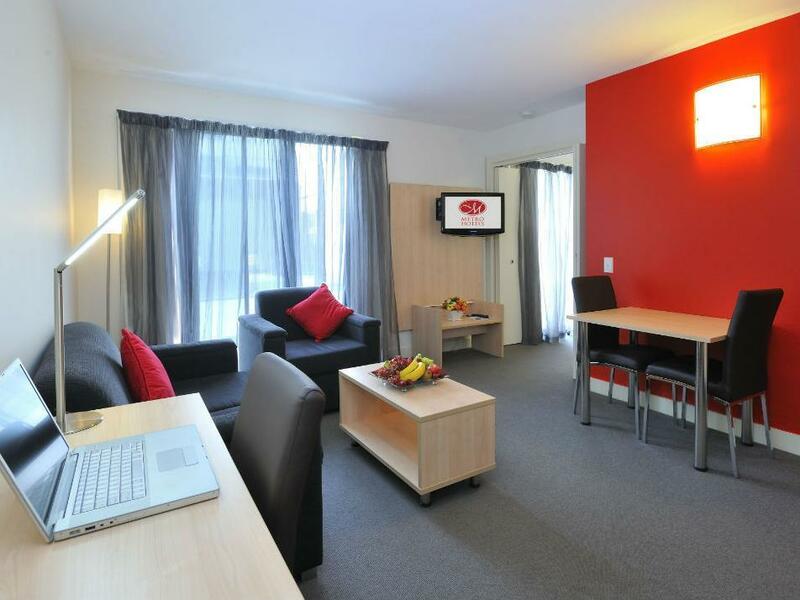 We stayed at the Metro Madness - a large 1 bedroom unit with king-size bed, cooking facilities and more. Absolutely happy with the room. The staffs deserve a pat on their shoulder. Very friendly and always happy to help. Only drawback is no wifi in the room. Booked last minute due to AirBnB host not responding, and actually got a very good price for a very nice room. Very clean and comfy and smack in the middle of CBD. Very good internet with pretty much all you would expect from a one room apartment. Only bit that surprised me was that they didn't supply toothbrush / toothpaste. I brought my own so wasn't an issue just a bit surprised. Still, a great place to stay in Melbourne. Belongs to Metro group, it's the only apartments of this group in Melbourne. Conveniently located in CBD, friendly staff and good value for money. The rooms are quite old though and could be renovated. Although this hotel can be a bit hard to locate, the room was very clean and comfortable. It was well-equipped with both cooking materials and toiletries. We only needed to walk five minutes to the free city tram station and about 10-15 mins to various eateries and cafes. 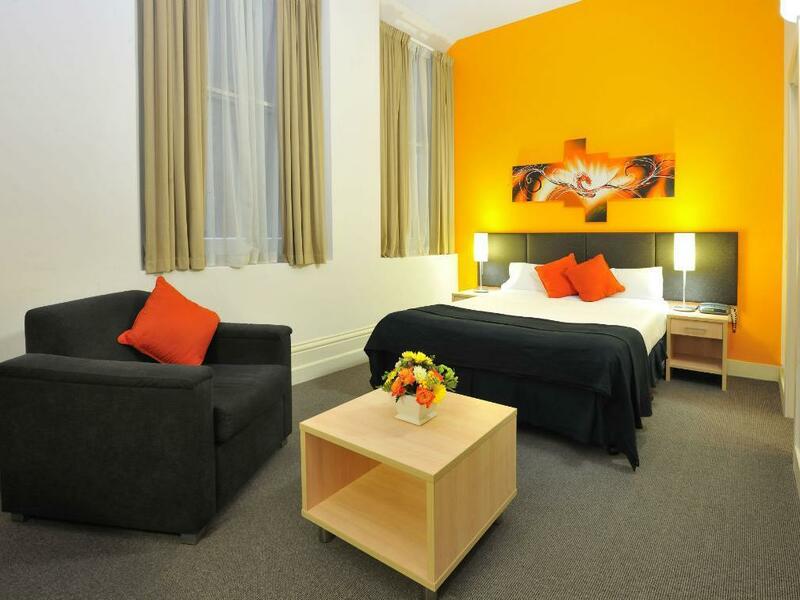 Overall, we would definitely consider this hotel if we go to Melbourne again! I have stayed there on Friday so it was a little bit noisy even at night. I got earplugs from the receptionist, so it wasn't a problem. Room was small and things were worn out, but you should remind how low price it cost. Hello Seulhee, Thank you for choosing to stay at Metro Apartments on Bank Place, we appreciate your taking the time to share your feedback to assist us to improve ourselves wherever possible. We are glad to see that you enjoyed your time with us and hope that we get to see you again in future. I wish i had stayed longer at this apartment! The location is ideal for travelers wanting to experience the city and the apartment has all you need; from iron, water heater, microwave, kitchen supplies, cutleries to bed, internet, work table, and television, your stay at this apartment is nothing, but pleasant. Outside, you will find a little Vietnamese joint of about 2 minute walk; its pho is out of this world! Further down the road is Thai restaurant where it serves some of the many spicy, delicate Thai foods. Other nearby convenient stores such as IGA Express and 7 Eleven are within a walking distance! The proximity of the hotel to a very popular nightspot results in you receiving ear plugs when you check-in. The noise from an outside terrace full of revelers well into the early hours of the morning is an issue. We are sorry to see that your expectations were not met on your recent stay due to outside factors. We would appreciate if you could contact the office to discuss your issues directly with us, and we apologise again for this experience. 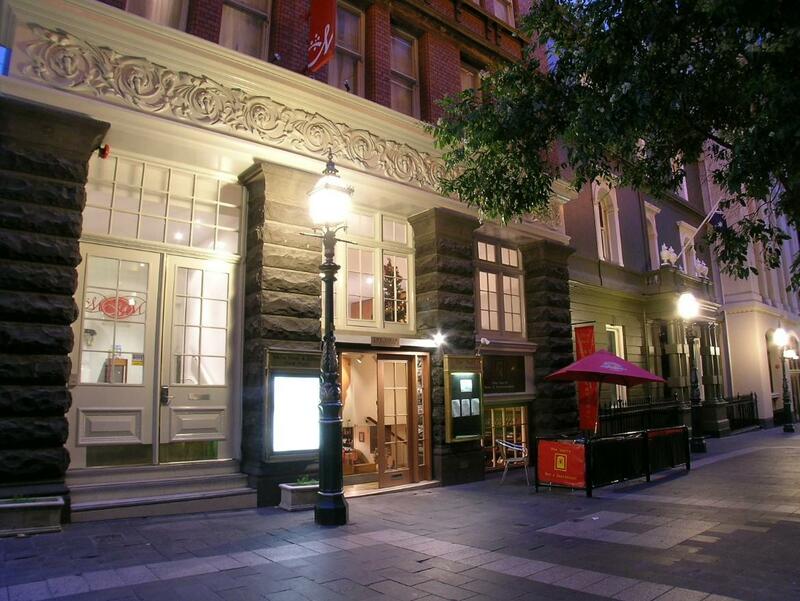 I booked this last minute and picked this place over the more fancy hotel due to the location - which is handy as it is walking distance from southern cross station. The beds were comfortable but the decor and setup was a little depressing and looked like it needed a refresh. The room also smelt a bit funky. We didnt hear any of the clubs downstairs which i was surprised about as we were on level two. The showers were powerful but temperature would fluctuate randomly to scolding hot.... The place did the job for a last minute weekend trip away but wouldnt recommend or stay again. Hello Maddy, Thank you for choosing to stay at Metro Apartments on Bank Place, we appreciate your taking the time to share your feedback and are sorry to see we did not fully meet your expectations this time. We would appreciate the chance to make it up to you on a future stay. Great location. Lots of restaurants nearby. Clean and quiet. 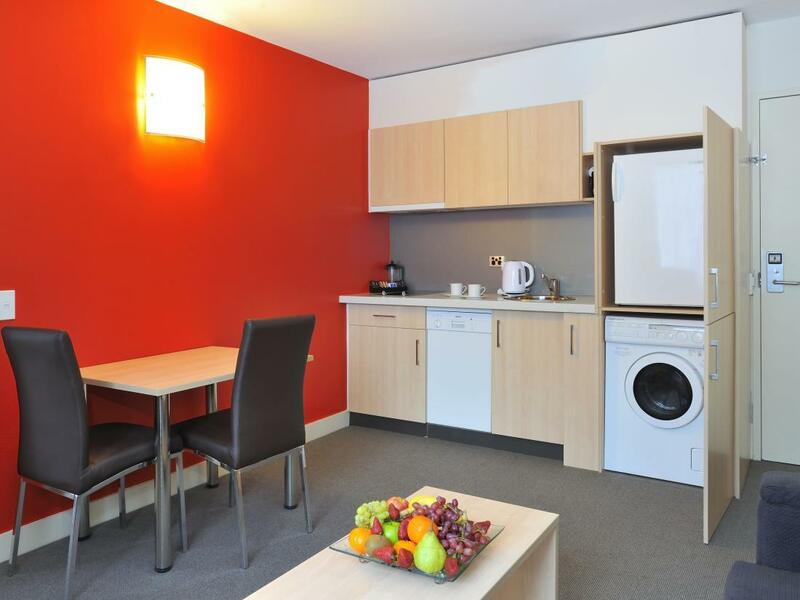 Lovely room, great position in CBD. The staff were very obliging and helpful,The room was good value for money. It was a great place, well appointed, clean and tidy. Hello Therese, Thank you for choosing to stay at Metro Apartments on Bank Place, we appreciate your taking the time to share your feedback. We are glad to see that you enjoyed your time with us and hope that we get to see you again in future. Stay here all the time. Wonderful place to stay and wonderful team. Hello Lorraine, Thank you for returning to stay at Metro Apartments on Bank Place again, we appreciate your taking the time to share your feedback. We are glad to see that you enjoyed your time with us and we rust that we will get to see you again in future.